WHY would Singapore, a bustling port city dependent on ships passing through, stop ships from anchoring at a secluded island off Pulau Ubin? The island, called Pulau Sekudu, looks nondescript from afar. However, it is teeming with marine wildlife because it is very close to the marine-protected area of Chek Jawa. While Chek Jawa is known for its natural gems, Sekudu, its neglected sister, has been the victim of repeated illegal fishing, camping and harvesting of marine creatures such as oysters and clams. Between July and September 2007, there were more than 20 landings on Pulau Sekudu, Mr Robert Teo said. He is the assistant director in charge of Pulau Ubin at the National Parks Board (NParks). NParks has been managing the area since January 2002, implementing rules that restrict access to Chek Jawa's inter-tidal habitats. That protection is extended to Sekudu because it is found within the 100-ha Chek Jawa Wetlands. Since 1 Oct last year, vessels entering these wetlands have to get a permit from NParks. Recently, The New Paper went to Chek Jawa to see what could be found there and at Sekudu. Sea anemones, sand dollars, moon snails, crabs and tubeworms were spotted in the area. In addition to the marine creatures, interesting plants can be seen, such as the seashore nutmeg (a species that can no longer be found on mainland), mangrove plants and many types of seagrass. 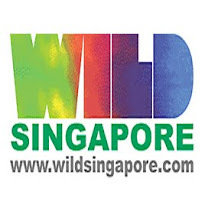 Explaining the reason for the permit system, Mr Teo said: 'Chek Jawa Wetlands, which includes Pulau Sekudu, is an important and unique area for the conservation of Singapore's marine life. NParks approves permit applications only for activities such as research and coastal cleanups. These are assessed on a case-by-case basis. It will not be easy for members of the public to sneak into the wetlands either. NParks staff members and security guards stationed at Chek Jawa Wetlands are equipped with powerful binoculars to scan the area for illegal activities. Mr Teo said: 'They will record the registration numbers of any boats landing or engaging in poaching. NParks has also started regular boat patrol and relies on volunteers to act as its eyes and ears. The Police Coast Guard will tell boats without permits to leave Sekudu's shores. Since the rules were implemented, there have been 27 cases of illegal landings. Warning letters are issued to first-time offenders. There have also been four cases of poaching. In the case of repeat offenders, NParks will carry out thorough investigations before taking action in accordance with the Parks and Trees Act. These regulations are welcomed by nature lovers. Botanist Joseph Lai said: 'It's very good for the boating and fishing community to know where to fish and anchor, and where not to. Those who are granted permits should also exercise caution when on the island. Parks and Trees Act on the reddotbeachbum blog.